John Pollock and Wai Ting review every tournament match from the G1 Climax 28. Day 4 (July 19) is headlined by Hirooki Goto vs. Kenny Omega and Tomohiro Ishii vs. Tetsuya Naito. Toru Yano vs. Zack Sabre Jr. If you’ve entered the POST Wrestling 2018 G1 Climax Contest, click here to check for periodically updated results, scores and predictions. 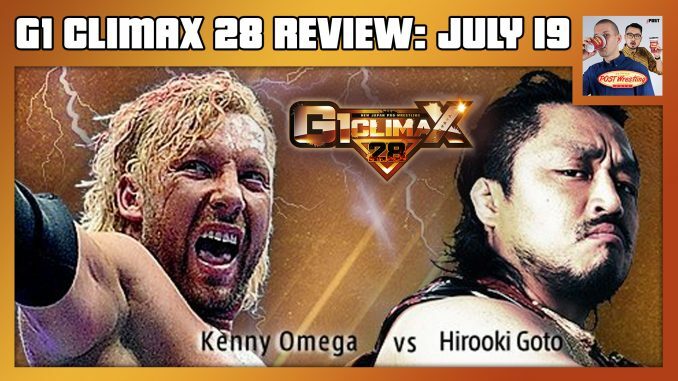 Support any tier of the POST Wrestling Café Patreon to receive access to all of our G1 Climax 28 coverage as well as other bonus content.